Our culinary offer from the Schmankerl butchery: e.g. original Munich white sausages, original Munich pork sausages, crispy roast pork of the brand Hofgut Schwaige, tender beef entrecôte or veal cutlet, home-made tartar and much more. The big Oktoberfest hit: Munich Leberkäs, freshly baked in special ovens at the Oktoberfest. The Munich butcher shop Vinzenzmurr is proud of its 115-year tradition and to be represented at the Oktoberfest. 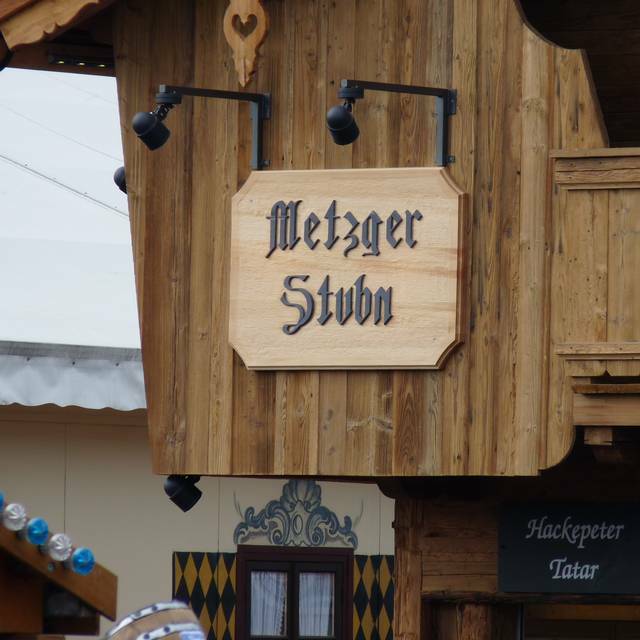 In the rustically designed "Metzger Stubn", the name says it all. The Stubn, lovingly furnished with old wood and Bavarian live music, offers the atmospheric setting for your Oktoberfest celebration. Many historical exhibits give an insight into the history of Munich butchers by the company founders Rosa and Vinzenz Murr. Bio-Syrah Terre Siciliane IGT "Volpi"
At present, Vinzenzmurr: Metzger Stubn has no reviews. Please add a review after your dining experience to help others make a decision about where to eat.